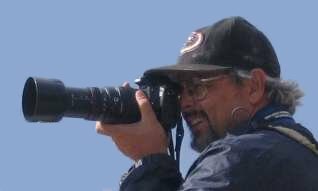 I took this shortly after getting my 20D in early May, 2005. 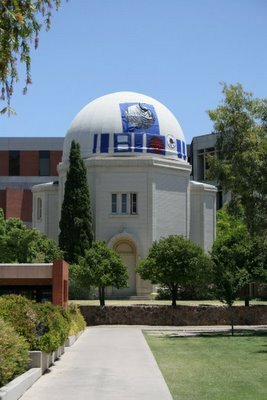 Of course, Star Wars III was about to be released and someone on campus decided that the original Steward Observatory dome which now houses a 21 inch telescope looked a bit like R2, so they dressed the dome up appropriately. This exposure was taken with the kit lens set to 55mm focal length. The exposure was 1/250 seconds at f/8, ISO 400.